! Edit freely: click "edit page" button at the left. !Hello Mr. Con (short form) Yo BoZ! Who has wiped the lines off that board? HIKARU! You are supposed to wash off the blood stains, not the lines! abc 123 test test test test, bla bla http://www.apache-stuff.com/xlst.html c This is a test. How do you write B.C. without the periods? BC Ah, precede with an exclamation mark. You have to use two single-quotes, not a double-quote. Also, it's two underlines to start or end bold, not one. David: Your diagram has to show at least two perpendicular edges (that is, a top or bottom edge and a left or right edge) for the coordinate markers to show up. This is now documented at How Diagrams Work. 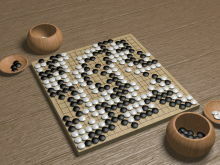 Sorry if this should be posted somewhere else, I was just wondering if the game on the CG of the goban on the front page of Sensei's Library is any particular professional game, or just a random assortment of stones. And if it is a previously-played game, does anyone know who it was between, and when it was played? 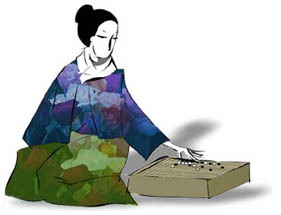 What is that thing in the Sensei's Library logo? On the edit page it looks like it has two mouths. OTF: Would the real Joseki please stand up?! This is a sandbox. !!! .